At first glance, these houses looks like they could have been the victim of a dramatic gas explosion. 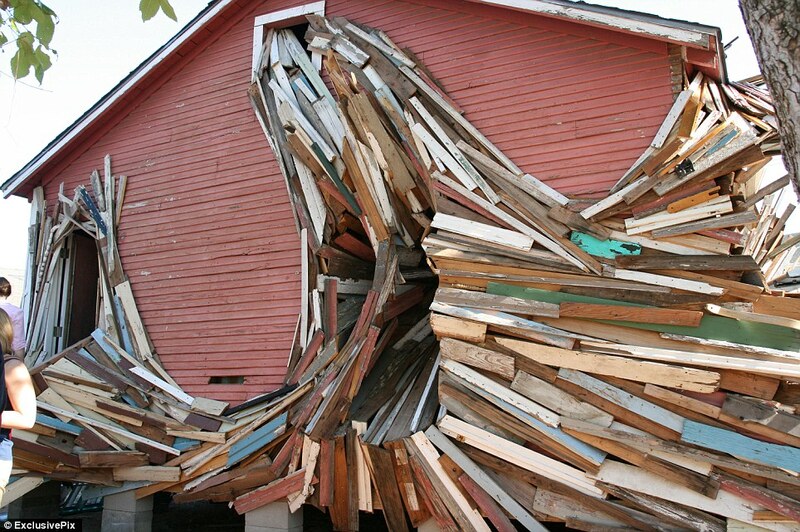 But the beat-up homes in Houston, Texas, are in fact an elaborate traffic-stopping work of art using the homes' own wood siding. 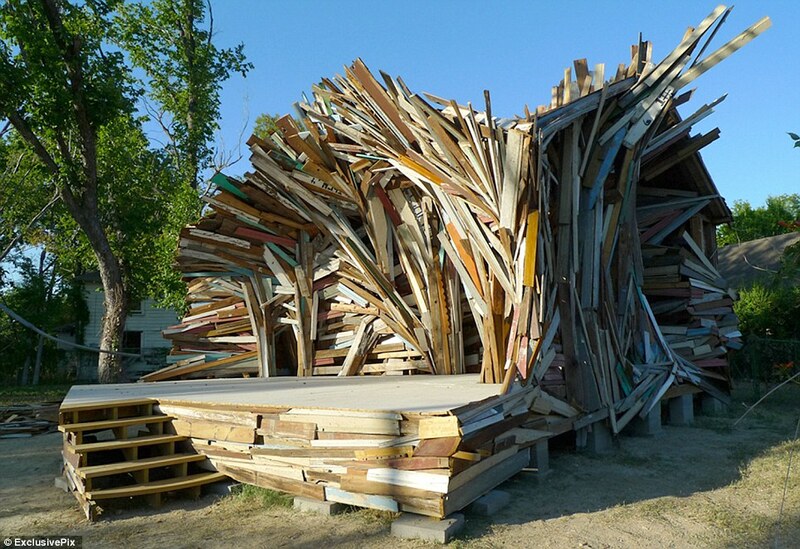 Artists Dan Havel and Dean Ruck smashed the interior walls of the homes, before nailing the wooden planking at strange angles to complete their project. 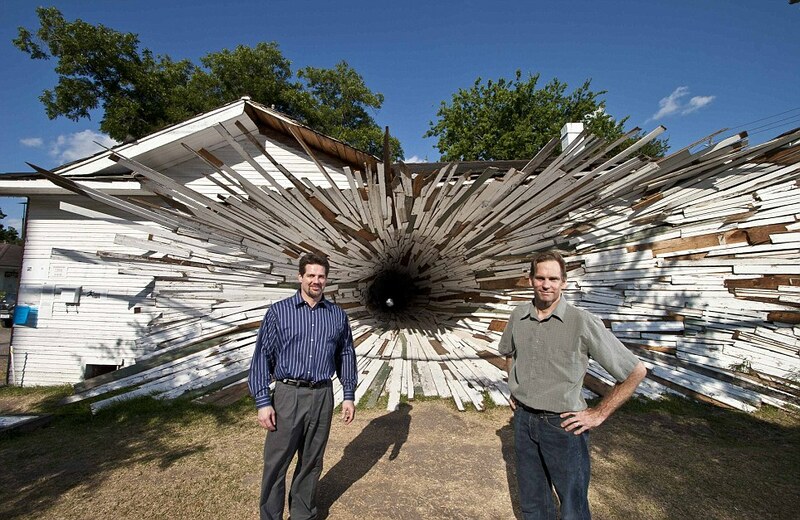 Featuring several horizontal and vertical vortices which appear to 'rip' through the interior of the first house, the designs offer a unique view out of each of the buildings.